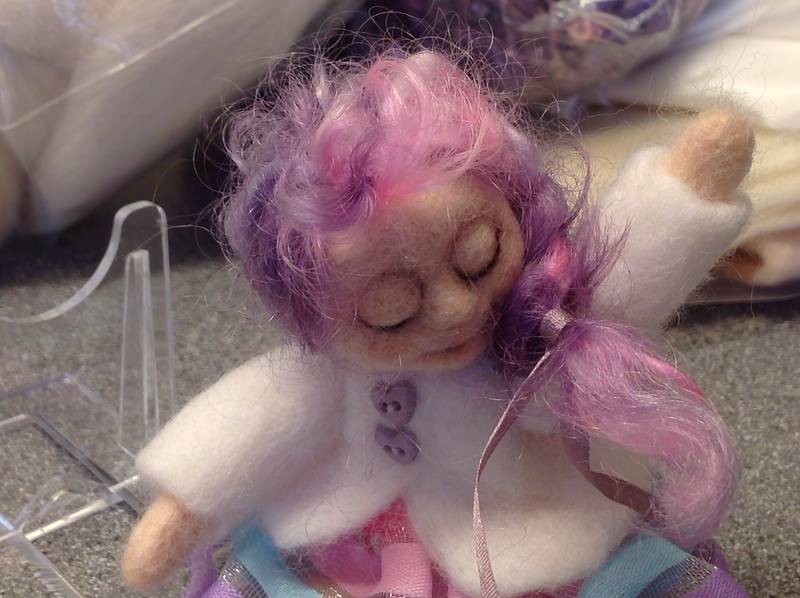 I have attempted to needlefelting dolls quite a few times however I still find I can't translate my ideas into the completed piece. So this month I decided to take up the challenge once again. 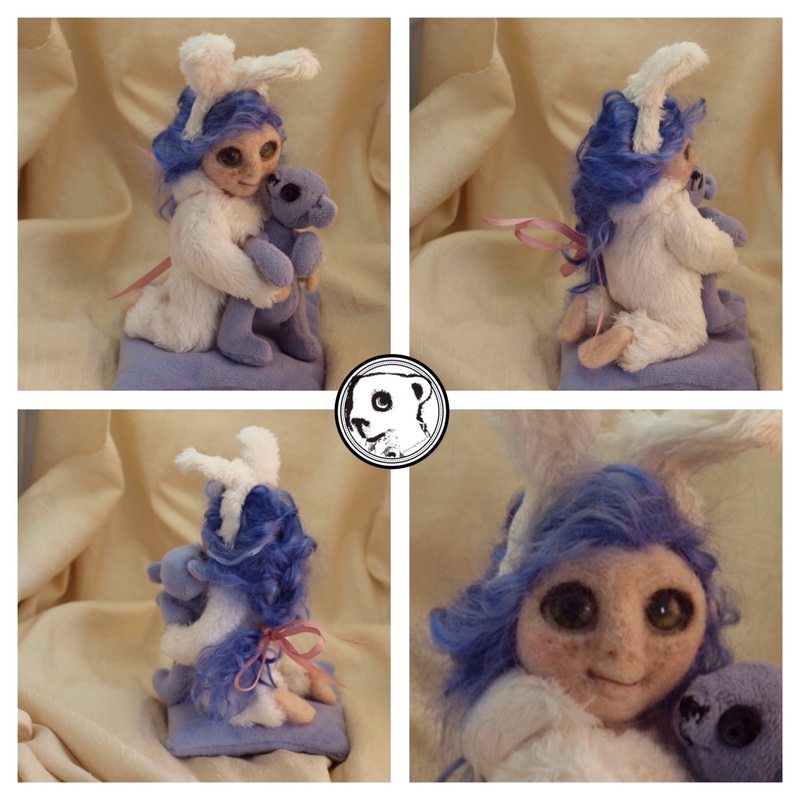 I've always admired the work on doll artists especially ball jointed dolls. My medium is wool however so I had to come up with my own designs. Difficulty one, the face, I needed to create a sweet face, previous attempts seemed more scary than sweet. After several attempts, I found I was getting quite good at throwing and hitting the waste bin with the results of my efforts (big smile inserted here). But at last I may have the proportions right, this character is 6 way thread jointed, head, chest, body, legs and arms as a basic start. I decided to have her eyes closed so I could try to concentrate on the facial proportions I wanted. 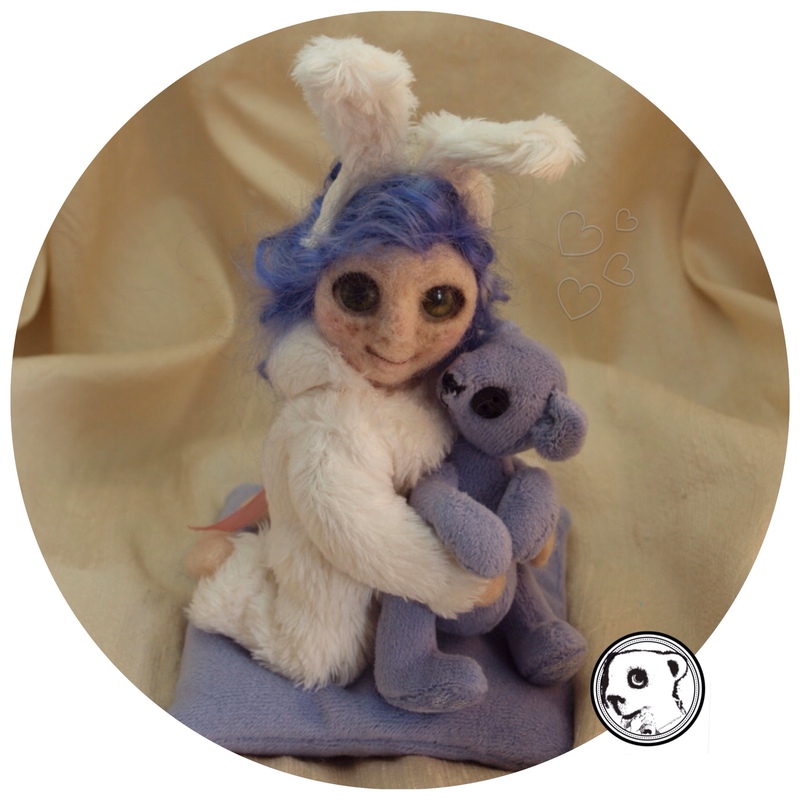 The body and jacket are merino wool, the hair, prepared mohair locks. The next doll project I decided she needed a wire armature, and huge eyes. As well as the thread jointing this would give me more posability. I also decided she would have a taren skirt and blue hair… It's funny how I always start with one idea and it changes as the personality of the character. Then the parts stacked ready for thread jointing. Even at this stage I was changing my mind about the character, she was more mischievous than sweet ! Indeed a little imp. I just can't help myself, my brain seems to either have too many tabs open or its switched off these days. I am in awe… That doll is spectacular. From her adorable face, her bouncy hair, and the impish expression forms a scene that is beyond perfect. I would definitely say that all your hard work has paid off.